In the first installment of this series entitled, What is the Gospel?, I introduced the series and gave readers a brief sketch of where we are headed. In this second installment, I turn our focus to the content of the Gospel message. If you ask most Christians today what the content of the Gospel is, you will most likely hear John 3:16 quoted. “For God so loved the world, that He gave His only begotten Son, that whoever believes in Him shall not perish, but have eternal life.” After which you may hear an explanation that goes like this: God sent His Son to die on a cross for our sins, in order that we might have eternal life. Our job is to believe that Christ is our Savior and we will be saved. While this is correct, I will argue that John 3:16 is only part of the Gospel. Now don’t get me wrong, I believe John 3:16 is a crucial part of the Gospel message, but I don’t believe John 3:16 represents the entire message. Rather, it is the climax of God’s redemptive plan. In order to understand the full content of the Gospel we have to zoom out, way out, and look at the whole counsel of God’s Word because the Gospel traverses from Genesis to Revelation. Starting with Genesis 3:15, we are introduced to the proto-evangelion, or first gospel. After Adam and Eve attempted to subject God to their rule in the garden by disobeying God’s commandment to not eat from the tree of good and evil, ultimately showing that they rejected God’s rule and understanding of what is best for them, God provides hope for a restored relationship through the promised defeat of Satan. We read, “He shall bruise you on the head, and you shall bruise him on the heel.” Here hope exists in the midst of punishment and despair. God has promised to defeat Satan one day through one man’s actions, which restores God’s relationship with both man and creation. As Scripture unfolds, we learn more about God’s plan of redemption. Through His covenant with Abraham, the nation of Israel is born and a people are set aside as God’s chosen people (Gen. 12). Through these chosen people, a line is preserved from which Jesus is born (Matt. 1). Along the way, God honors His covenant with Abraham, renewing it with Isaac (Gen. 26) and Jacob (Gen. 28). He also provides the Mosaic Covenant (Ex. 20), in order to inform His people of the way they should live and as a means of removing their sin. He later makes a covenant with David (2 Sam. 7). The Davidic covenant brings promises of an unending royal lineage to rule on the throne of the kingdom. After which, many leaders and kings arose throughout redemptive history, but none were God’s chosen Son who would redeem His people. The temple sacrifices of goats and bulls were not able to change the hearts of the people either. They were temporary measures by which God’s wrath was appeased. They allowed a Holy God to live amongst an unholy people, but they could not satisfy the wrath of God eternally (Heb. 8-10 see especially 10:1-18). God also knew that His people could not keep His commandments because their heart had not been changed. However, in Jeremiah 31, a New Covenant is promised. One that would put the law of God in the hearts of the people, giving them a new heart, allowing them to enter into a right relationship with God. In God’s perfect timing, Jesus was born to Mary, a virgin. 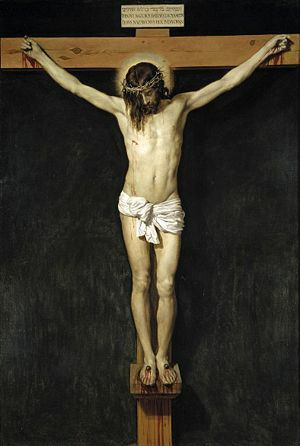 He lived a perfect life, and willingly subjected Himself to a painful death on the cross, in order to pay for our sins. What the sacrifices and Law of the Old Testament could not accomplish, Jesus did, in His death on the cross and resurrection from the dead (Isa. 53; Gal. 3:16-29; Heb. 10). By humbling ourselves and believing that Jesus is our Savior, we are saved from eternal punishment, just as John 3:16 tells us, but much more happens at that time. Our relationship with God is restored (Heb 10:22). And ultimately, at the return of Jesus Christ, all creation will be restored (Is 65; Daniel 9; Rev 21-22). The world will be recreated, and not only will man’s relationship with God be perfect, but God’s relationship with creation will be redeemed and made right (Isa. 65). 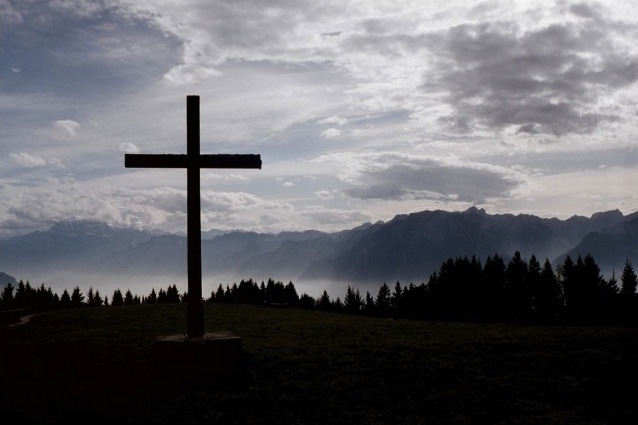 Jesus’ death on the cross and resurrection from the dead accomplishes much more than giving us eternal life; it redeems all creation, so that man and creation are able to accomplish their God-given purpose, which is to glorify God (Ps. 86:9; Isa. 60:21; Rom. 11:36; 1 Cor. 6:20; 10:31; Rev. 4:11). In summary, the content of the Gospel includes everything from Genesis to Revelation. It is a story that tells of God’s plan to redeem fallen man and creation. It began in Genesis 3:15, climaxes in the death and resurrection of Jesus Christ, and will serve to restore all creation when Christ returns. As one can see, the Gospel includes John 3:16, but it also includes much more. In order to help you continue to think through the breadth of the Gospel message, I have attached an article by D.A. Carson on the Gospel. In my next post, I will consider The Functional Centrality of the Gospel. The Gospel, or the good news of Jesus Christ, is a life changing message we must seek to understand because it is mankind’s only hope in this life and the next. Without the Gospel, mankind would be damned to eternal punishment, having no hope for salvation. And without the Gospel, mankind could not fulfill their purpose, namely, to exalt and glorify God. It is only through the death of Jesus Christ that sinful men have access to God. 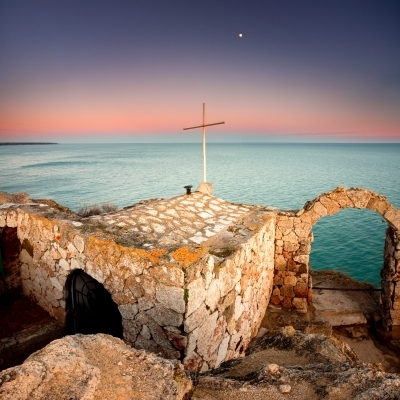 Jesus’ blood redeems mankind, making them holy and repairing their relationship with God. No amount of work or religious activity can restore man’s relationship with God. It is only through the saving power of the Gospel. Since the Gospel is the only means for salvation and a restored relationship with God, it is important that we understand the content of this message and how we might obtain Jesus Christ’s salvation. In the series that follows, I will discuss the Content of the Gospel, the Functional Centrality of the Gospel, and how the Gospel provides us with a right relationship with God.